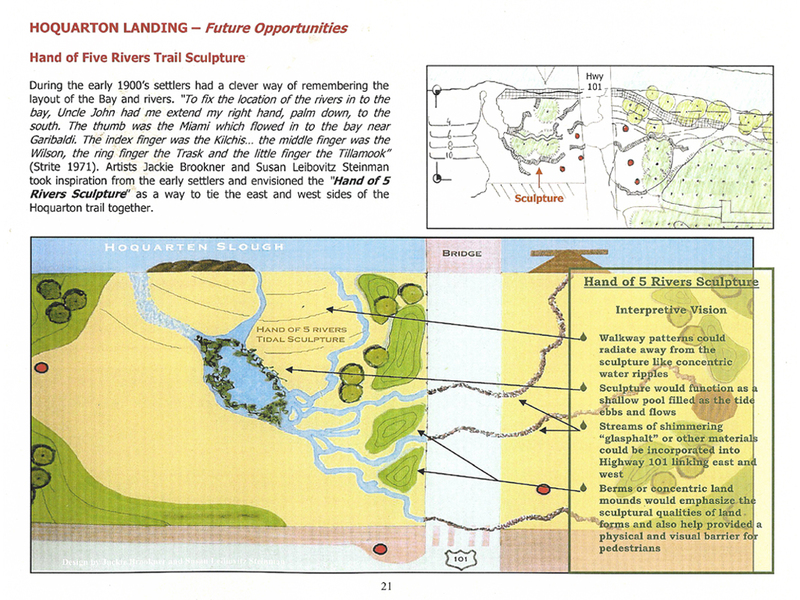 The team of Jackie Brookner and Susan Steinman was awarded the 2002 Art and Community Landscapes commission to be Artists-in-Residence with the National Park Service Rivers and Trails Program in the Northwest region. 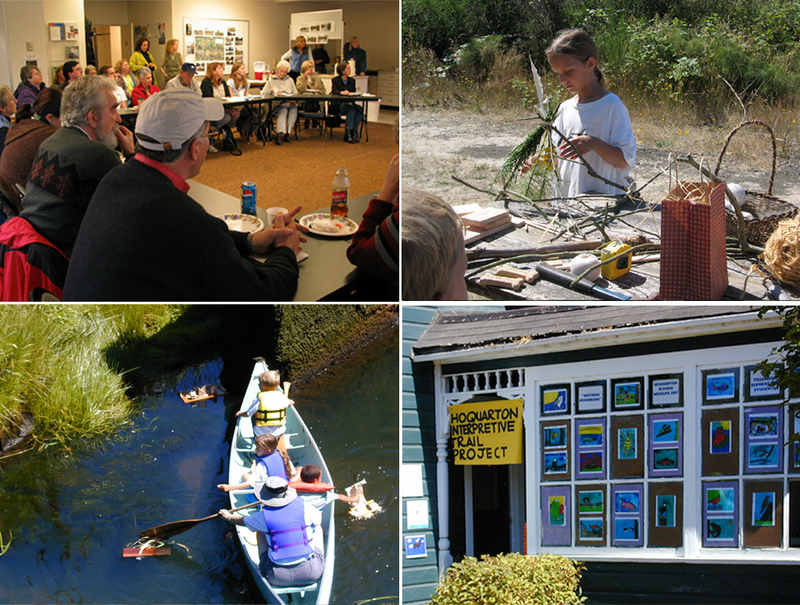 Art and Community Landscapes was a partnership of the National Endowment for the Arts, the National Park Service and the New England Foundation for the Arts that supported site-based public art as a catalyst for action at the community level. In 2002-3 they worked in Caldwell, ID, Tillamook, OR and Puyallup, WA, providing consultation and preliminary planning, and building community support for each town’s waterway project. 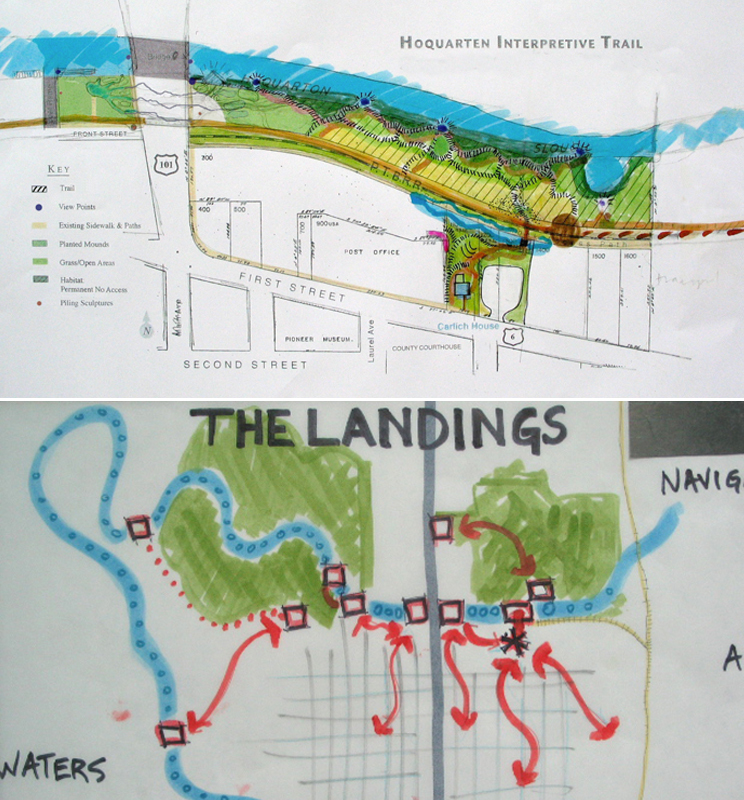 With extensive outreach across stakeholder and community groups, they built many new partnerships, created local public art initiatives, started now annual river and trail festivals, and helped design conceptual plans for river daylighting, stream restoration and trails. 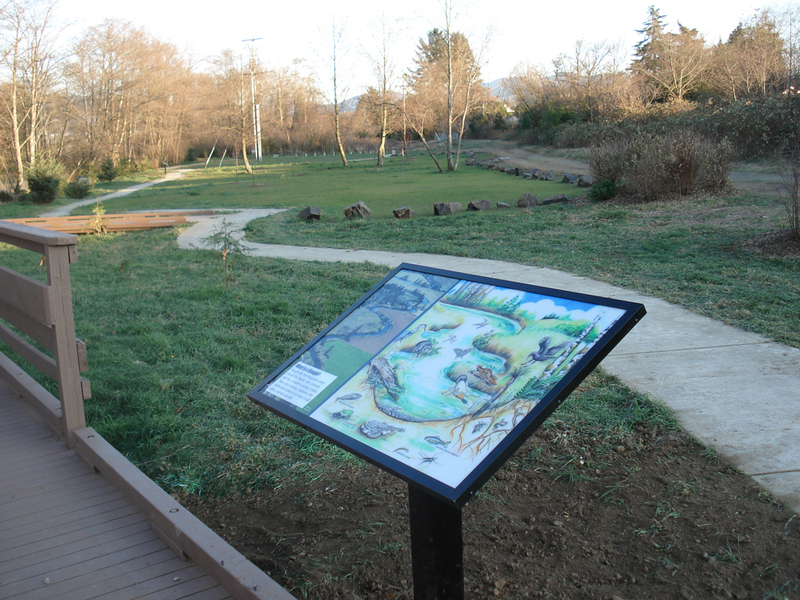 In Tillamook, OR Brookner and Steinman worked with local residents to design and build support for The Hoquarten Interpretive Trail. 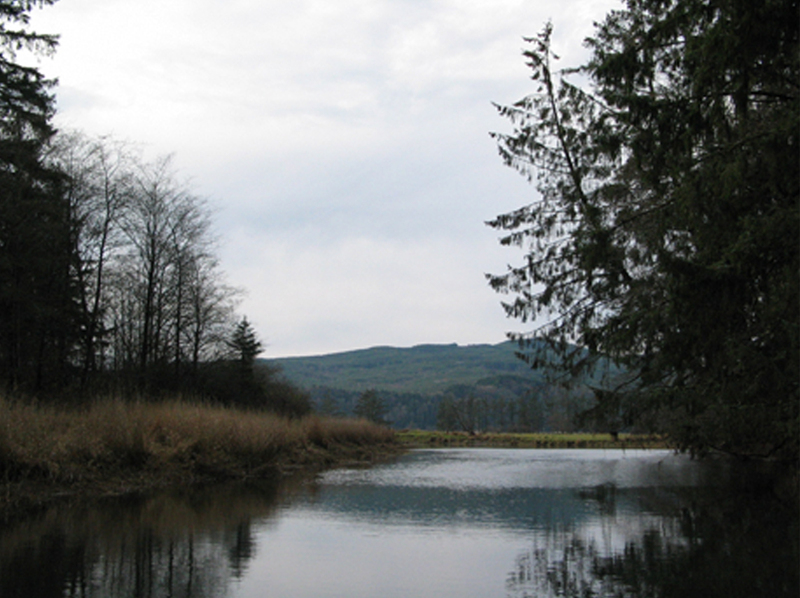 The focus of the trail is Hoquarten Slough, which once served as a water route for fishermen entering the city from the Pacific Ocean, and provided hunting and fishing grounds for the Tillamook Indian Tribe. The four mile trail along the banks of the slough will connect the city with the bay, will provide pedestrian and bike paths, and economic opportunities for the town.